With it being deadline time for me at uni, it’s very easy to get wrapped up in the constant stress of assignments and feel like your life is pretty crappy at the moment. I find it very easy to focus on the negative things in my life, and Im been trying to focus more on all the good things going on in my life and the things that make me happy. So here are three things that make me happy. 1. Blogging - Yesterday was my blogs one month birthday, and I also hit 1000 page views, and 175 followers on bloglovin! I couldn’t be more happy about this, I never thought my blog would get anywhere and to have so many people reading and following makes me the happiest little bunny! Im also really loving coming up with ideas, and writing posts, it’s such a nice break from uni work. The community is also one of my favourite parts about blogging, and I love being able to connect with people on twitter, so if you’d like follow me here, and we can have a chat, I’d love to get to know everyone. 2. Catching up with friends - After spending a few days at home and getting to see some of my friend’s I’ve realised how happy it makes me. Being at uni means living miles away from some of my closest friends, with my best friend living over 260 miles away, and some of my friends not even living in the same country! Summer is awesome because everyone comes back to the same town and we get to hang out like were 16 again, chilling in parks and having a good time. 3. My boyfriend - Josh and I have been together almost 4 months, and as my first ‘real’ relationship (I was perpetually single) I’ve been enjoying spending time with him so much, and he makes me rather happy. Living 5 minutes from each other means we probably spend too much time together, but with summer coming up, and neither of us knowing what we’ll be doing, Im trying to spend as much time with him now as I might not see him for weeks over the summer. 1. 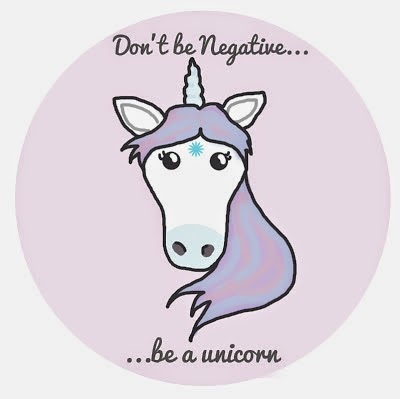 Copy or save the unicorn button. 2. Share with your followers 3 things that make you happy and ask them to do the same. 3. Tag bloggers who you think would love to do this! 4. Send any pics, links to your efforts to me via the comments on Lorin's original post. Here are some of my favourite bloggers, who everyone should check out. If you'd like to, join in, and share the positivity. I’d love it if you did this tag yourself, or just commented and let me know whats making you happy at the moment. Lets spread the positivity! And here are some of the questions from each of the Liebster Awards. 1.What is your favourite beauty product at the moment? At the moment I’m loving my Maybelline Dream Pure BB Cream. I find it’s the perfect coverage for wearing everyday, it feels so light on your skin, and with a primer and powder it stays all day. I also like that it’s catered to oily skin, and has SPF in it. 2. What have you learnt since starting your blog? I’ve learnt that I really enjoy writing. I’d love to start writing about some of the things I have a passion for, but Im not sure whether they fit my blog and how I’d write them. Over the summer Im hoping to branch out more with my content, as my blog is still just a baby and Im learning so much everyday. 3. What is your current favourite blog? This is difficult as I have so many favourite blogs. However as a student Im loving reading Student Life by Hannah. I love her writing style, and she is absolutely hilarious. I also love reading blogs from other students. 4. What is one of your pet peeves ? This is another student related one. People talking in the quiet study part of the library. Just shut up!! Im the sort of person who needs pretty much silence for working, and finding that in the library can be almost impossible, especially when groups of people sit around one table chatting away! 5. Where was the last place you went on Holiday? I guess the last place I went on holiday was the Lake District with Josh, which you can read about here. However that was only for a two days, and Im not sure I count it as a holiday, so before that the last place I had been to was Spain last summer with two of my girl friends for a relaxing week chilling in the sun. It was so lovely and Im hoping we can do something together this summer to celebrate all of our 21st. 6. Do you have any Stuffed Toys still? Yes. At home Im sure I’ve got boxes in the loft filled with teddies, and hundreds of beanie babies as I used to collect them and just couldn’t part with them! At Uni I (embarrassingly) have two stuffed toys, one is Doug a dog teddy given to me for my 20th birthday by my flat last year, as they know I love dogs. The other one is Simba, I got him from the Disney store as he was reduced, and with Lion King being my favourite film ever, and having a lion king related tattoo, I couldn’t leave him behind! Now he’s my cuddle buddy and I love him a lot. 7.What goals would you like to achieve in the 5 years? This is a big question, and to be honest Im not really sure. In 5 years I’ll be 26, so hopefully I’ll be working somewhere I like doing something I love or at least enjoy. I’d like to be doing something that helps people, maybe working for a charity, or international aid or development in another country. I’d also liked to have travelled to as many places as possible, my wish list is ever growing and I hope by 26 I will have seen lots of them. 8.What’s the best decision you ever made? The best decision I have ever made was the decision not to go to university. Obviously I ended up at uni anyway, but taking a year out to try and decide what I wanted to do meant working full time for 6 months, and then 3 months travelling up the East coast of Australia Which was one of the best experiences of my life. Deciding not to go to uni whilst I was studying my a levels also meant I stopped trying, although this meant getting not as good grades as I could have got, it also meant looking at uni’s with a lower ucas point requirement, and therefore meant finding my current course which is the perfect course for me. 9.What’s the scariest thing you’ve ever done? Jumped out of a plane at 15,000 feet. Also the best thing I’ve ever done. 10.What countries have you/would you like to travel to? Im going to do what countries I’ve been to, because countries I’d like to visit is a whole post in itself. I’ve been to, Australia, France, Germany, Spain, America, Wales, Austria, Greece, Fuerteventura, Majorca and Qatar. It's no problem, you're blog is awesome, so well written and love the design, you've clearly worked so hard! I'll look forward to seeing your post. 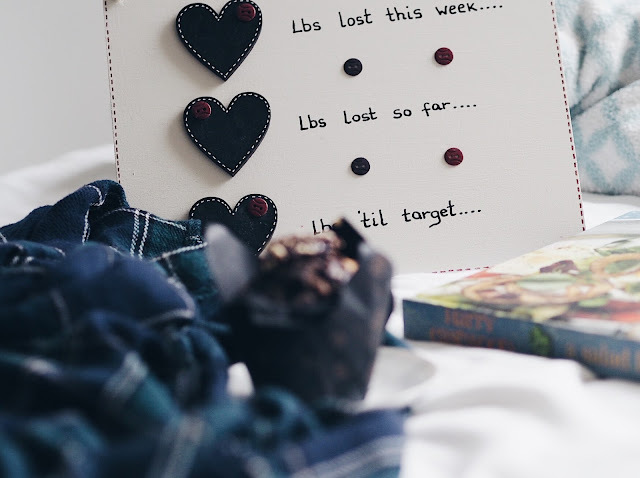 Thanks so much, Im starting to get a bit stressed about the assignments and need to stop scrolling through bloglovin/twitter and start doing some work! I'm under the stress of house buying, so my world is all about stress, stress, stress and crazy amounts of money flying around. Cross stitching, blogging and the husband are my three things getting me through it all that's for sure!